This colorful and fun panel pictures many different hot air balloons. 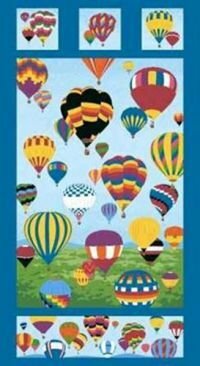 This is just a small picture of what it would be like to visit Albuquerque Balloon Fiesta that takes place each year. Panel is 23" x 43".